New Price! Bright White Clearcoat 2018 Ram ProMaster 1500 Low Roof 136 WB FWD 6-Speed Automatic 3.6L 6-Cylinder At Best CDJR we want you to know that all our vehicles are priced at a competitive value position to the market. We use an independent 3rd party software to research internet listings on all vehicles in the market so we can ensure that our prices are the most competitive out there. We do this simply so people choose us when they start searching for their next car. All of our vehicles are researched and priced regularly to ensure that you always receive the BEST overall market value!! Please call or click to confirm availability! New Price! 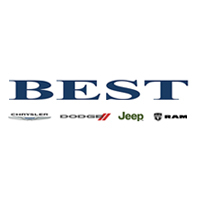 Bright White Clearcoat 2019 Ram ProMaster 1500 Low Roof 136 WB FWD 6-Speed Automatic 3.6L 6-Cylinder At Best CDJR we want you to know that all our vehicles are priced at a competitive value position to the market. We use an independent 3rd party software to research internet listings on all vehicles in the market so we can ensure that our prices are the most competitive out there. We do this simply so people choose us when they start searching for their next car. New Price! Bright White Clearcoat 2019 Ram ProMaster 2500 High Roof FWD Cargo Van FWD 6-Speed Automatic 3.6L 6-Cylinder If you are new to Best, you’ll notice we do things a little differently from our new car sales to our service and maintenance. The secret of our success comes in part from the Disney Institute in Orlando, Florida. Twenty five years ago, Best needed to differentiate itself from average dealers and did so by embracing a Disney culture. To date, Best has sent over 150 employees to Disney’s “Best in Class” training. Today, our entire cast works in concert with the attitude, teamwork, and commitment necessary to achieve complete customer satisfaction. New Price! Bright White Clearcoat 2019 Ram ProMaster 2500 High Roof FWD Cargo Van FWD 6-Speed Automatic 3.6L 6-Cylinder At Best CDJR we want you to know that all our vehicles are priced at a competitive value position to the market. We use an independent 3rd party software to research internet listings on all vehicles in the market so we can ensure that our prices are the most competitive out there. We do this simply so people choose us when they start searching for their next car. RAM PROMASTER® FRONT-WHEEL DRIVE Powerful and responsive, Ram ProMaster® features a front-wheel-drive system that allows for impressive traction and mobility on the road. The Best-in-Class 36-foot turning diameter helps Ram ProMaster navigate crowded city streets, worksites or loading docks with confidence. New Price! Bright White Clearcoat 2018 Ram ProMaster 2500 High Roof FWD 6-Speed Automatic 3.6L 6-Cylinder All of our vehicles are researched and priced regularly to ensure that you always receive the BEST overall market value!! Please call or click to confirm availability! Bright White Clearcoat 2019 Ram ProMaster 2500 High Roof FWD Cargo Van FWD 6-Speed Automatic 3.6L 6-Cylinder At Best CDJR we want you to know that all our vehicles are priced at a competitive value position to the market. We use an independent 3rd party software to research internet listings on all vehicles in the market so we can ensure that our prices are the most competitive out there. We do this simply so people choose us when they start searching for their next car. New Price! Bright White Clearcoat 2018 Ram ProMaster 2500 High Roof FWD Cargo Van FWD 6-Speed Automatic 3.6L 6-Cylinder If you are new to Best, you’ll notice we do things a little differently from our new car sales to our service and maintenance. The secret of our success comes in part from the Disney Institute in Orlando, Florida. Twenty five years ago, Best needed to differentiate itself from average dealers and did so by embracing a Disney culture. To date, Best has sent over 150 employees to Disney’s “Best in Class” training. Today, our entire cast works in concert with the attitude, teamwork, and commitment necessary to achieve complete customer satisfaction.